A common challenge when hiring any consultant is the setting of expectations. We define deliverables and responsibilities for both parties. In addition to fact finding interviews, we take an intimate look at your company, your industry and your products and services. 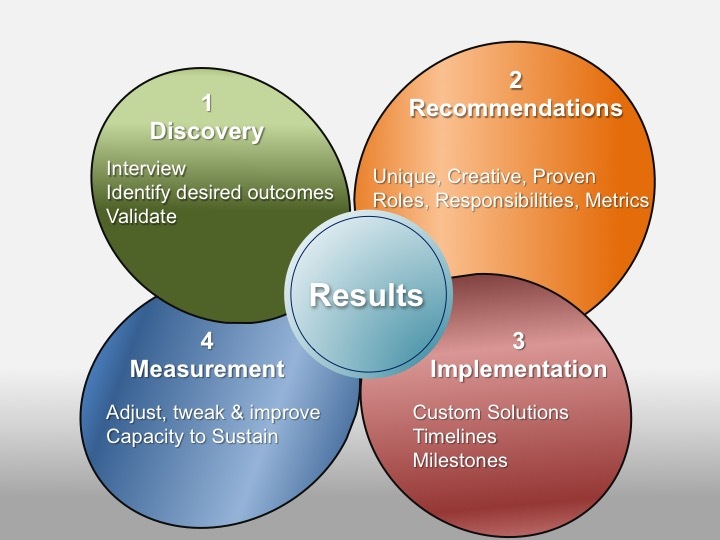 Together we identify desired outcomes, a way to measure them, and what is required to reach your goals. Our custom solutions are clearly laid out with timelines and milestones, and we continually chart and adjust along the way in order to provide measurable results.